With pony camp, lessons, and fun rides your child’s half chaps probably look like they’ve gone through the ringer, am I right? 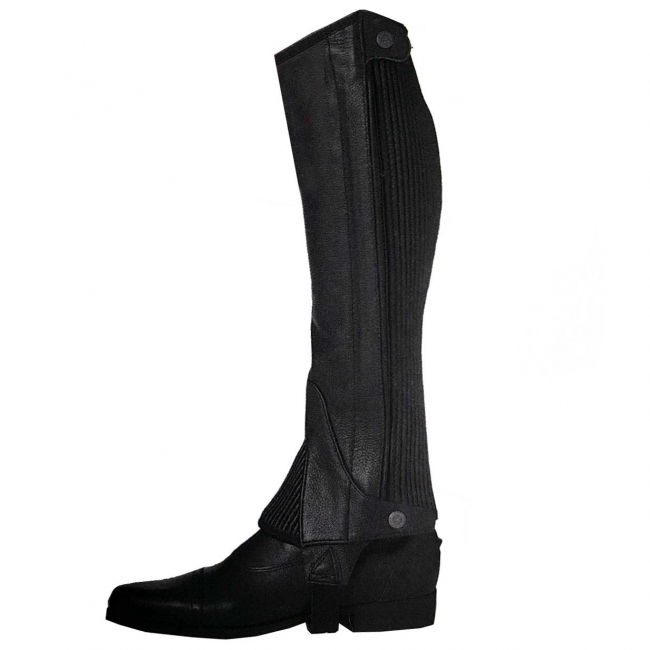 Ovation Pro Top Grain Children’s Half Chaps are the perfect replacement. They are constructed from top materials including top grain leather, a YKK zipper, and top and bottom snaps. These are a great quality half chap that are built to look classy, yet durable to withstand kids.